Sectional doors open vertically and thus create more space in front of and behind the door. The door sections are parked flat underneath the ceiling, vertically above the opening or in line with the roof. Series 50 sectional doors, made of steel, steel/aluminium combination or aluminium, are set apart by the programme range, top door design and certified security. Compact sectional doors stack the individual sections vertically, right behind the lintel. The small distance back is a special advantage for halls with domelights, glass roofs or glass facades. Well-insulated industrial sectional doors are essential in heated buildings. 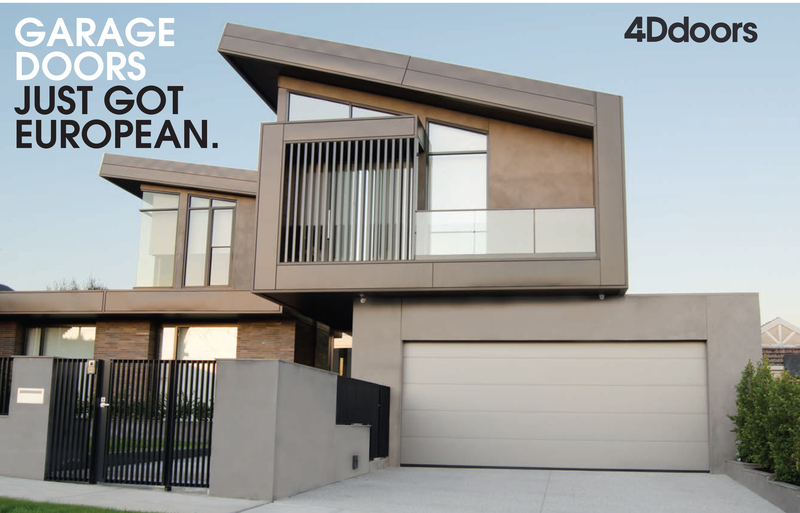 Hörmann industrial sectional doors offered by 4D are optionally available with the ThermoFrame frame connection for a thermal break between frame and brickwork. Additionally, lip seals on both sides of the door and a double seal in the lintel area protect from heat or cold loss, increasing the thermal insulation value by up to 21 %. The wicket door with extra-flat stainless steel threshold ensures easier passage of pedestrians. With doors with a width up to 5510 mm, the threshold rail is only 10 mm high in the middle and 5 mm high at the edges, reducing the risk of tripping considerably and making it easier to wheel things through. Under certain circumstances, Hörmann wicket doors with trip-free threshold can even be used as escape doors and for barrier-free construction. All power-driven industrial sectional doors are equipped with a self-monitoring closing edge safety device with optosensors as standard. You can also select the leading photocell VL 1 for non-contact monitoring of the closing edge without a surcharge. The light grille HLG can also be optionally integrated into the frame. These solutions offer you increased safety, faster door action and lower inspection and maintenance costs.